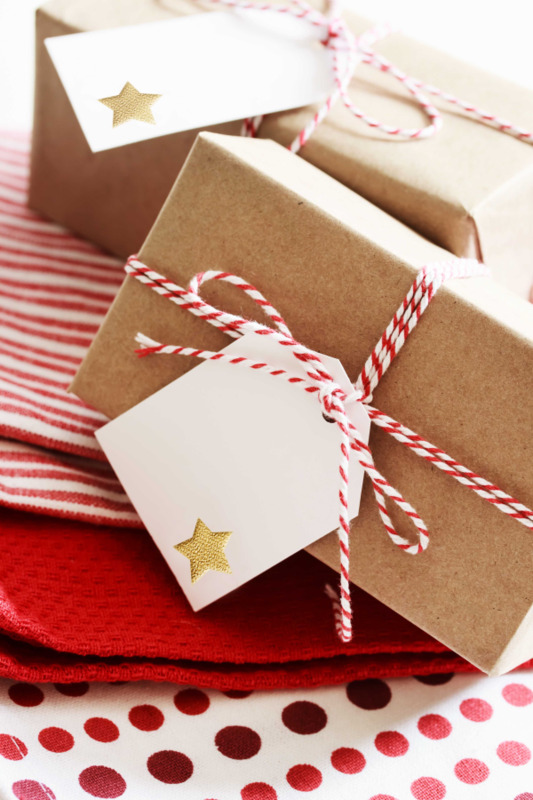 With Christmas just around the corner and the number of remaining shopping days dwindling, perhaps it is time to start thinking about those last few gifts you still need to get. However, instead of trudging out to the shops and enduring the commercial storm, why not make some gifts at home? These could be craft based or, even better, food based! Friends and family will love the idea of receiving something you have spent time making yourself, with them in mind. 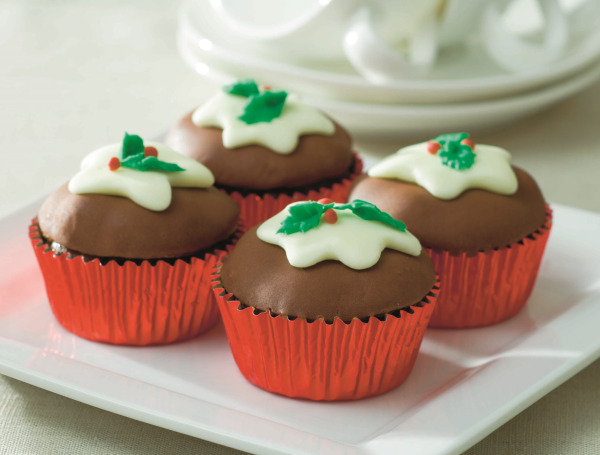 These Christmas Pudding Cupcakes are the perfect candidate for a homemade, edible Christmas present. Not only do they look gorgeous, they taste great too and are the epitome of a quick and easy recipe. Simply pop into tupperware boxes once cooled and decorated, and wrap in some pretty paper just before you hand them over. Perfect! 1. Preheat the oven to 180˚C/350˚F/Gas Mark 4. Line one or two 12-hole bun trays with 14–18 foil fairy-cake cases. Beat the butter and sugar together, then beat in the eggs, adding 1 teaspoon flour with each addition. Sift in the remaining flour and the spice, add the orange zest and juice, treacle and dried fruit to the bowl and fold together. Spoon into the cases and bake for about 30 minutes. Leave to cool in the trays for 15 minutes, then turn out to cool on a wire rack. Store undecorated in an airtight container for up to 4 weeks, or freeze. 2. To decorate, trim the top of each cake level, then brush with apricot jam. Roll out the almond paste and cut out circles 6 cm/21/2 inches wide. Place a disc on top of each cake and press level. Leave to dry for 24 hours. Dust a clean, flat surface with icing sugar. Colour half the sugarpaste brown, roll out thinly and cut out circles 6 cm/21/2 inches wide. Place on top of the almond paste and press level. Colour the remaining sugarpaste cream or pale yellow, mould into a fluted disc and press on top for custard. Colour the sugarpaste scraps green and red and shape into holly leaves and berries. Keep for 1 week in an airtight container. These little cupcakes will be a refreshing change to the usual heavy Christmas pudding, just the right size to satisfy that sweet craving without pushing you from 'nicely satisfied' to 'uncomfortably full'. This recipe comes from our Cupcakes book, which contains many other great simple recipes for cupcakes with a seasonal twist.